Large-scale events, such as international conferences and sports competitions, that take place in cities in emerging countries present both an opportunity and a danger. On the one hand, these events and the preparations they require enable city governments to accelerate progress and put needed infrastructure into place -- and, in the process, provide a crucial chance for poor communities to voice their views and have their needs addressed. On the other hand, governments may use such events as a pretext to make big changes quickly, all too often enriching the few while ignoring the voices of the poor and disenfranchised. 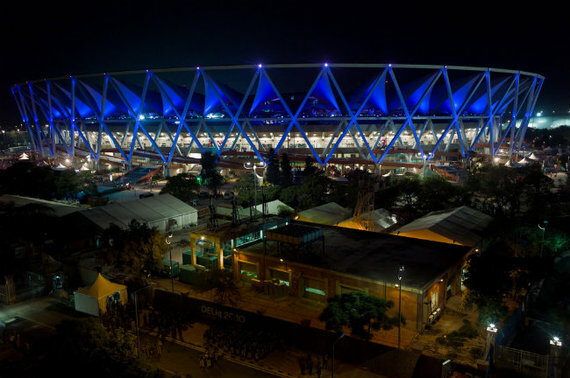 The following examples from Nairobi, Delhi, Jakarta, and Rio de Janeiro highlight this dynamic and propose some lessons for properly leveraging large-scale events. The 2007 Nairobi World Social Forum (WSF) was a controversial event: it brought social activists together to discuss urban poverty, but it effectively excluded impoverished Kenyans due to the high cost of attending. Many WSF participants therefore decided to see for themselves how things worked in the slums, thus resulting in a flurry of tours around Kibera, Nairobi's biggest informal settlement, which laid the groundwork for the creation of slum tourism infrastructure in the area. Fortunately, Kiberans took advantage of this development to weave a narrative of the slum that went beyond the old refrain of poverty and desperation and to paint a more multifaceted picture. Accordingly, there was a gradual change not only in how outsiders viewed Kibera, but also in how Kiberans viewed themselves and wanted to be seen. 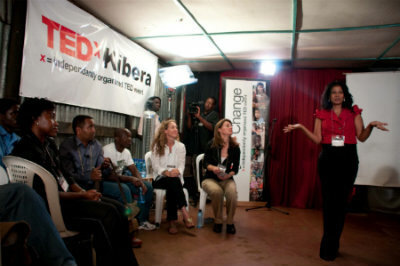 One initiative that nurtured this new self-awareness was TEDxKibera: with themes like innovation, entrepreneurship, self-discovery, and rethink, this event targeted local residents to help them harness their social capital. The concept has proved so popular that other talks have been staged in Mathare and Korogocho, both high-profile Nairobi settlements. As the largest international multi-sport event ever to be staged in India, the 2010 Commonwealth Games were the perfect venue to spread awareness among visitors and viewers not just around sports but also on broader issues like land, energy, carbon, waste, and water. Special attention was given to one of India's most pressing environmental and urban concerns: rising carbon emissions and traffic congestion. Two years ahead of the Commonwealth Games, the Chief Minister of Delhi inaugurated Soleckshaw an eco-friendly solar-powered rickshaw. Given that 60 percent of the increase in India's greenhouse gas emissions is caused by the transport sector, the clean-powered pedi-cab not only offers a solution for Delhi but for cities the world over. Even though the full potential of the solar rickshaw has yet to be realized in India, the solar rickshaw remains a good example of expedited exploration brought on by the Commonwealth Games and mega-events in general. In 2011, Indonesia hosted 6,000 athletes from 11 countries in Southeast Asia's biggest sporting event, the Southeast Asian Games. Several problems that arose over the course of organizing these Games in Jakarta offer valuable insight into how to organize large-scale events that are inclusive and thoughtful of host city residents. For instance, newly renovated and constructed venues weren't in balance with the surrounding neighborhoods, many of which still didn't have adequate infrastructure like lights and roads needed to link these communities to the events. Another issue was how city residents were not consulted or included in the planning process, despite the enormous value they could have brought in terms of hospitality, local culture, and encouraging tourism. In the future, organizers of big events would do well to ensure that local residents aren't just spectators, but feel a sense of ownership and pride in endeavor. As the host of this year's FIFA World Cup, all eyes are on Rio. Attention on the planning process for the event has risen due to the protests and concerns about the high infrastructure costs required to host the matches. For instance, the cost for the 12 World Cup stadiums totals USD $4 billion -- an amount 285 percent higher than originally estimated. And much of this construction is being funded at the city and state levels, leaving many to wonder whether the money might have been better used for programs benefiting the social sector. As the World Cup draws nearer, there are four main lessons that other countries, cities, and decision-makers can learn from the Brazilian experience: understand the investment tradeoffs when hosting major events, define realistic project costs and times, determine who picks up the bill, and plan the long term legacy. Complications such as steep financial costs at the public's expense and poor inclusion of urban residents in the planning process can create setbacks for Global South cities playing host to large-scale events, but they are also opportunities for productive dialogue and accelerated innovation. Visit URB.im to learn more and join the discussion.